Rakes are available in 4 different forms: multihole, static pressure, total pressure & temperature. All our measurement heads (multi-hole probe, total or static pressure, temperature) can be combined in rakes, leading to a higher spatial resolution. Also for these products we are able to reach a high degree of accuracy for the special case of measurement. 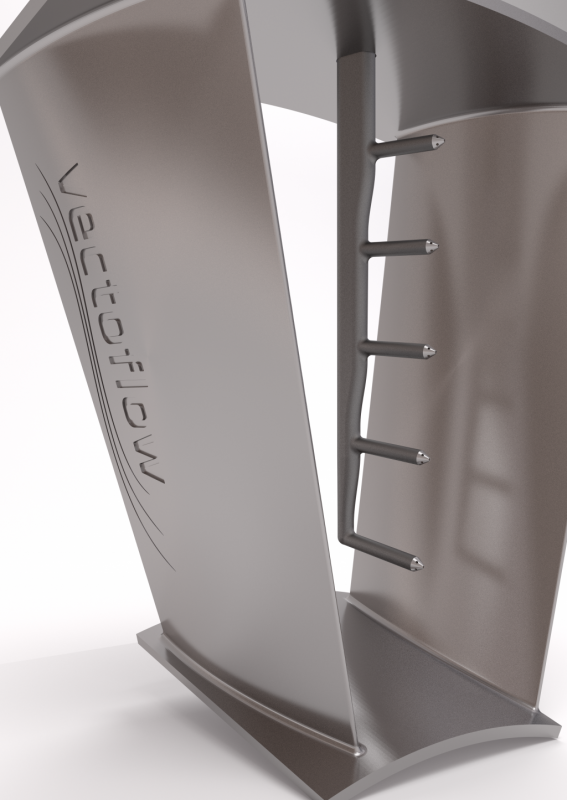 Because of the additive manufacturing process, it is possible to install Vectoflow probes in various fields of measurement combined with optimal mechanical properties.